You’ve spent countless hours decorating and arranging the inside of your home so that it looks and functions the way you want, but what about the outside of your home? Georgia summers are often fantastic for relaxing and entertaining outdoors, and it’s important to have the perfect outdoor lighting for your porch, deck, and other exterior spaces. At Masterpiece Lighting in Atlanta and Roswell, we can help you find the right fixtures for every outdoor area, from your front sidewalk to your backyard gazebo. The ideal landscape and outdoor lights can transform your property from bland and dull to amazing and appealing. One of the main purposes of your exterior lighting is to create an ambiance that is inviting and engaging, especially when you have guests. The pleasant glow of your garden lights and the charming brilliance of your porch fixtures will welcome people to your home, while also helping guide their way. The strand lights spanning your pergola will create the appropriate atmosphere for backyard barbecues and evening gatherings with friends and family. The other purpose of your outdoor light fixtures is to provide safety and security for your home and the people who live in it. 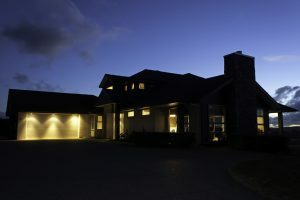 A well-placed fixture on the garage will help you see when you arrive home after sunset, and motion sensor lights will deter trespassers and intruders. Timers on your exterior fixtures will ensure that your home is properly illuminated, even when you’re out of town. If you’re redesigning your backyard, or you’ve noticed that the front of your home is lacking in light, then come to Masterpiece today. At our showrooms in Midtown and Roswell, you can find post lights, landscape fixtures, outdoor sconces, and more. Contact us today by calling your nearest showroom, or by using the form below. We look forward to meeting you!